We check in with three riders of Pivot's versatile Mach 5.5 to find out why they chose that bike and how they've been getting on since they did. If you've ever cruised our Bike Check section, the largest collection of badass bike builds on the internet, you know that Vital members spare no expense when it comes to radifying their rides. Always on the hunt for a backstory, we reached out to the owners of these three supersonic shredders to find out what went into each project. From stealthy black to racing red, these rigs all have one thing in common: they're finished off to a T. What do their owners have to say about them? Where do you live? Chicoutimi, Québec, Canada. Favorite local trail to ride? Le Panoramique in Chicoutimi. Why did you pick the Pivot Mach 5.5? I'm the manager at Gendron Bicycles. We have been a Pivot dealer for a little over a year now. When the 5.5 came out, my rep came to the shop and I was able to test it on my local trails. I fell in love instantly! Is this Pivot Mach 5.5 your only bike? No! My road bike is a Giant Defy and my fatbike a Norco Ithaqua. What bike did this replace / What bike were you on before this? 2016 Rocky Mountain Altitude 770 MSL. Did you go for an off-the-shelf build or did you customize the build? Started with the Pro XT/XTR build kit with the Reynolds/I9 and Fox X2 upgrades plus some others upgrades! What would you change on it? Nothing! but I always want another new bike, N+1! How long do you plan on riding this bike? Until the end of the 2018 season. If you could get another new bike (any kind/type) right now, what would you get? Pivot's new Mach 6 or maybe a long travel 29er!? Where do you live? Draper, Utah. Favorite local trail to ride? The Deer Creek Loop in American Fork Canyon. Why did you pick the Pivot Mach 5.5? It was sort of a gamble. I loved the handling of the Evil Calling but wasn’t a terribly huge fan of the single pivot characteristics. One of my co-workers said the Mach 5.5 was the closest thing he had ridden to the Calling. I bought it based on his recommendation and I feel like he was spot on. 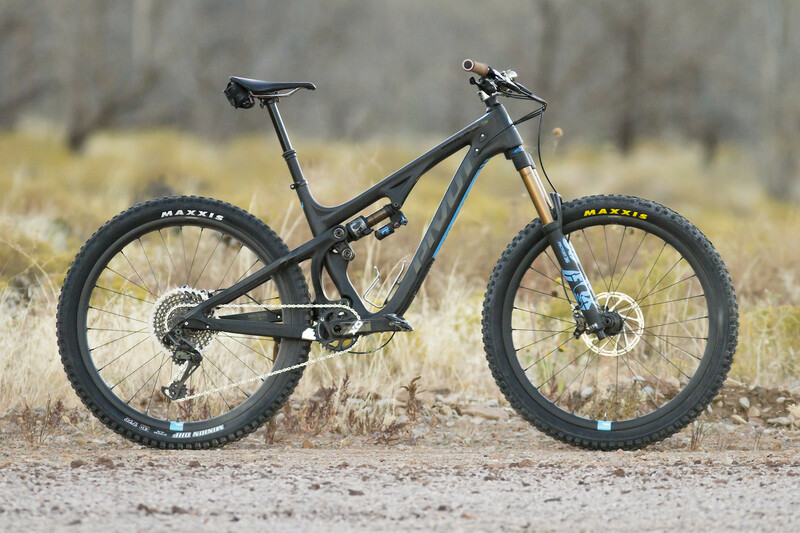 Is this Pivot Mach 5.5 your only bike? Nope. I have a Trek Sawyer single speed, a road bike, and a gravel bike. What bike did this replace / What bike were you on before this? Immediately before this I had a Santa Cruz Bronson 2.0 and a Yeti SB5 v2. Did you go for an off-the-shelf build or did you customize the build? Custom build. It was actually my first real custom build, I always rode off the shelf mountain bikes up until this one. What’s your favorite part about the bike? It descends like a champ and climbs like a goat. It is just an amazing all around bike that can handle lift laps and all day epics. 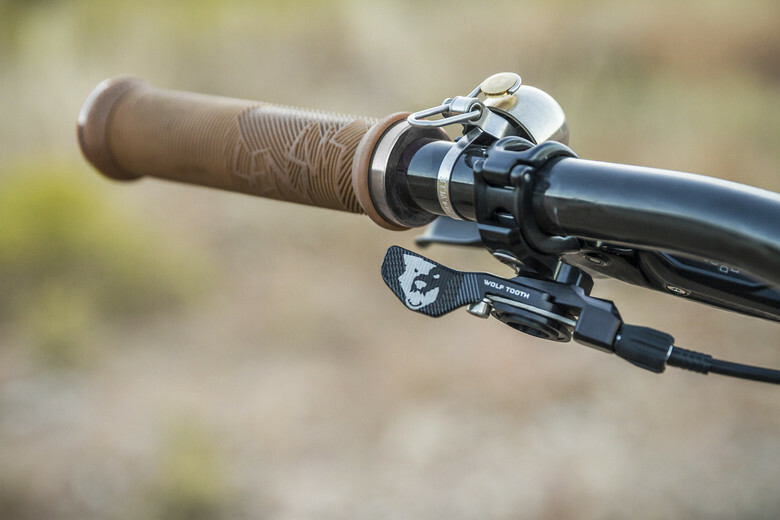 Aside from the bike as a whole, the SRAM Code brakes were another gamble that paid off. DH power on a trail bike. Worth every single extra gram. What would you change on it? I would love to have a RockShox Lyrik out front and a Super Deluxe out back. How long do you plan on riding this bike? A year. To be honest I will probably build another Mach 5.5 with RockShox at that point. It’s that good. If you could get another new bike (any kind/type) right now, what would you get? A heavy hitter like the Nomad or a Firebird would be on my short list. I’m just so stoked on my 5.5 I don’t know if I would make time to ride another bike. Where do you live? Blue Mountains, NSW Australia. Favorite local trail to ride? A secret one near me. Why did you pick the Pivot Mach 5.5? I had it as a demo/review bike from a friend who works for the Australian distributor, Jetblack. I'd seen the bike launched earlier in 2017 and it seemed like an interesting bike with its mix of front/rear travel, good build spec, 2.6" tyres and DW-link. Unfortunately I had to give it back. What do you normally ride? 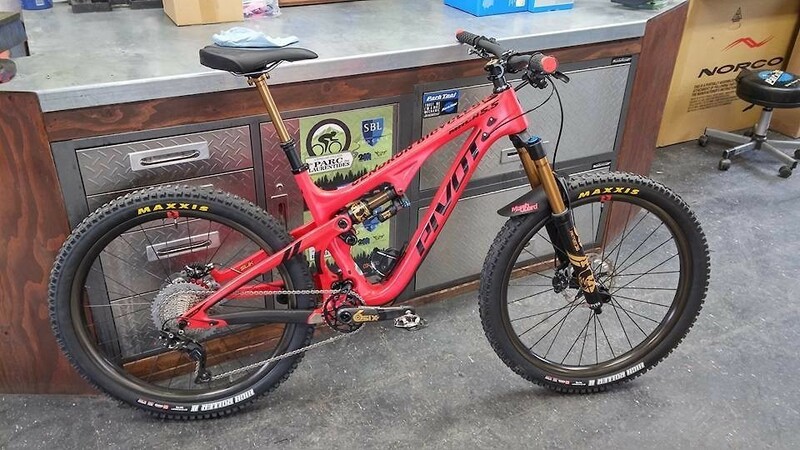 I'm normally on a Giant Trance 27.5 with 140mm rear and 150mm front travel, but also have a 24" BMX race bike and used to own a 27.5 Giant Glory for downhill. This Pivot was only a demo unfortunately. If I had the cash I'd definitely consider purchasing one. Did you ride an off-the-shelf build or was it custom? This was an off the shelf build with the XT/XTR build kit. The wheelset wasn't standard though as it was a Stan's Arch, and even though the Arch is not recommended for wider tires I didn't find it was a problem. What was your favorite part about the bike? I loved the way it ripped out of corners when you pumped through them with the DW-link and the ability to manual with the short chainstays. What would you change on it? If I had one for myself I'd probably not change much, maybe a piggyback or coil rear shock for rowdier tracks and a set of Flow MK3 rims on Hope hubs for wheels. If you could get another new bike (any kind/type) right now, what would you get? 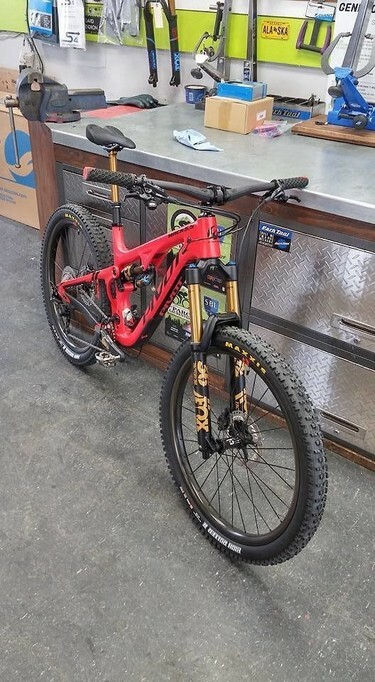 This bike would definitely be on the list if my wallet could handle it, otherwise I'd be looking at a Commencal Meta TR, Canyon Spectral, YT Jeffsy or Intense Primer. Related: Enduro Pivot Why That Bike? Enduro Pivot Why That Bike? So if I'm in my mid to late 30's this bike is for me? You should use this energy to go out for a rip Kyle.